Guest Post: Organic Mulch - What's it all about? When I first started gardening I often heard the terms mulching, soil conditioning, manuring, composting to name but a few and hadn’t got a clue what people were talking about. Were they different or all the same? Did they come in bags or did you make them? My questions were endless and so I was delighted when Jerry Day offered to clarify mulching for everyone with a guest blog. Jerry has loved gardening and landscaping since he was very young. He loves to write about gardening topics and currently works for 1-800-Mulch-Pro in the U.S. helping others improve the exterior of their homes. Organic gardening is the process of growing flowers, ornamental plants, herbs, fruit,and vegetables without toxic chemicals or harmful pesticides. Some primary concerns for organic gardeners include pest control, soil preparation, weed control, and the preservation of garden plants. Applying an organic mulch as a layer that sits on the top of the soil is the best way to ensure a bountiful harvest throughout the season. A layer of organic mulch will adjust the temperature of garden soil as needed, eliminate fruit rot, and provide overall soil improvement. Organic mulch properly insulates the ground against cold or heat, and the spread of plant disease will be reduced. There are several different types of organic mulch that can be used in vegetable gardens. Organic mulch is made from previously living material produced by nature. 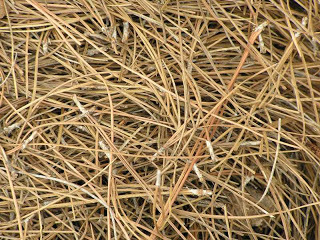 Straw, wood chips, dried leaves, and pine needles are some examples of organic mulch. The amount of mulch used in the garden will depend on the type of organic material used. If you are using stringy or coarse material like pine needles, applying several inches of mulch will bring the best results. When the growing season has come to an end, simply mix the mulch into the garden soil. This process increases the soil’s organic matter in preparation for the next season. Gardeners can use different types of natural material for organic mulch. Dried grass clippings are ideal for many root vegetables such as radishes, carrots, and beets. Mulch made from bark or wood chips are often used in shrubs, ornamental gardens, and garden borders.This type of mulch is not recommended for vegetable gardens. 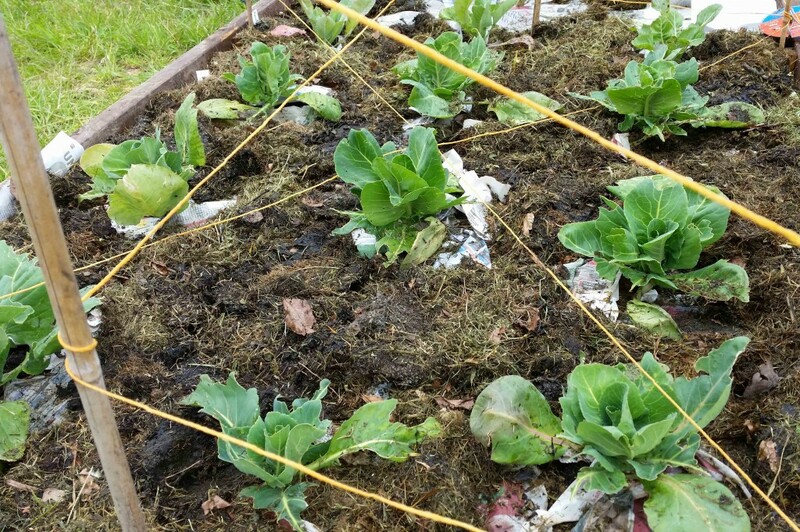 Materials like shredded leaves, hay, and straw are other types of organic mulch that can be used in vegetable gardens. For best results, only use dry materials for organic mulch. Organic mulch can be made from sawdust or shredded newspaper, these materials should also be dry before adding to garden soil. One of the most well-known types of mulch is home-made compost made from organic material. Organic compost is made from natural material and discarded food items. Gardeners can use potato peels, lobster shells, vegetable leaves, citrus peels, and eggshells for organic compost. Natural products such as pea pods, feathers, seed hulls, and peanut shells are also used. If you will be using compost as mulch,it must stay moist to encourage root growth. Cover the soil with a thin layer of compost and top it with mulch made from dried grass or shredded leaves. An extra layer of mulch will allow to stay moist, and plant roots will thrive. Just about any kind of organic mulch can be used in a vegetable garden. After two or three planting seasons, you will know which type of organic mulch you prefer. Do you use mulch in your garden? 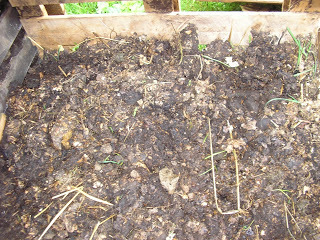 I liked the tip about covering the soil with home-made compost then a layer of dried grass. What do you use? I use fine grade bark mulch on ornamental garden which I heard works better than coarse bark mulch as the coarse stuff takes too much nitrogen out of the soil as it breaks down. Interesting about dry stuff on veg patch though. I agree with you that organic mulch is very helpful in growth of plants but if you have less time for gardening then you can try topsoil as it is easily available in market. Anything to improve soil is good John though mulching is different as it protects the soil you have, preserves moisture, helps keep weeds down and prevents nutrients being washed out. 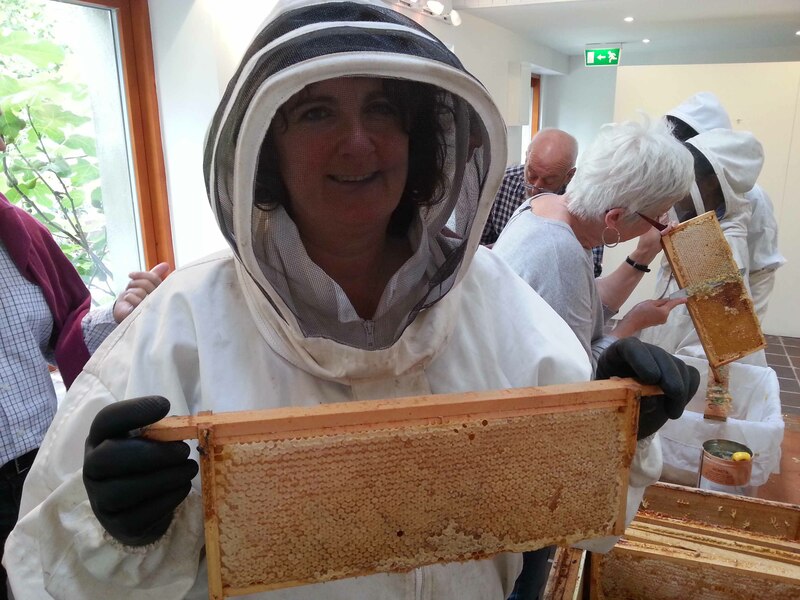 Thanks for taking time for sharing this blog, it was excellent and very informative. As a first time visitor to your blog I am very impressed. I found a lot of informative stuff in your blog. Keep it up. Thank you. Thanks for your kind words Chesley, lovely to hear from you and glad you enjoyed it.